Pamper dry, hardworking mitts with the AMELIORATE Intensive Hand Treatment; a ground-breaking, award-winning, 5-in-1 formulation that exfoliates, renews, softens, moisturises and protects. Specially designed for dry, dehydrated, rough hands and hard cuticles, the treatment unleashes the combined power of the brand’s unique LaH6 Skin Hydration Complex and a nourishing, moisture-replenishing blend of Oat Oil, Shea Butter and soothing Barley Extract. 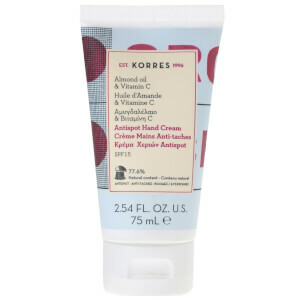 Working around-the-clock to progressively refine, condition and improve skin’s texture through chemical exfoliation with optimum levels of Lactic Acid – a naturally occurring AHA – the treatment leaves hands feeling soft, moisturised and healthier-looking. При первом использовании нанесите массирующими движениями на руки, ногти и кутикулу и оставьте на ночь. В дальнейшем наносите не реже двух раз в день и по возможности оставляйте на ночь. , C12-15 Alkyl Benzoate, Cetearyl Alcohol, Trimethylpentanediol/Adipic Acid Copolymer, Glycerin, Prunus Amygdalus Dulcis (Sweet Almond) Oil, Ethylhexyl Palmitate, Glyceryl Stearate, PEG-100 Stearate, Avena Sativa (Oat) Kernel Oil, Butyrospermum Parkii (Shea) Butter, Hordeum Vulgare (Barley) Seed Extract/Extrait D'orge, Dimethicone, Phenoxyethanol, Fragrance (Parfum), Sodium Benzoate, Xanthan Gum, Tocopheryl Acetate, Potassium Sorbate, Pentylene Glycol, Hydrolyzed Milk Protein, Disodium EDTA, Lactic Acid, Serine, Sodium Lactate, Sorbitol, Urea, Linalool, Citronellol, Citrus Aurantium Dulcis (Orange) Oil, Limonene, Coumarin, Juniperus Mexicana (Cedarwood) Oil, Alpha-Isomethyl Ionone, Sodium Chloride, Pelargonium Graveolens (Geranium) Oil, Geraniol, Allantoin, Tocopherol. *From Lactic Acid. Скидка применяется к РРЦ. Срок действия акции ограничен. Акция имеет исключения. 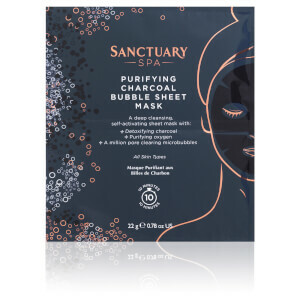 Подарок: Sanctuary Spa Charcoal Bubblesheet Mask при покупке товаров бренда от 1290 руб.